Nearly 200 inmates at San Quentin State Prison rioted in the dining hall, leaving at least four men wounded and hospitalized. The four inmates had stab or slash wounds after the melee broke out Sunday night among 184 men, prison spokesman Lt. Samuel Robinson said in a statement. Guards stopped the brawl using non-lethal bullets and pepper spray, and found at least 10 weapons made by inmates in the aftermath, he said. There was no word on what sparked the rioting or further information on the condition of the injured. Robinson said many others had minor injuries, but did not give a number. No guards were hurt. 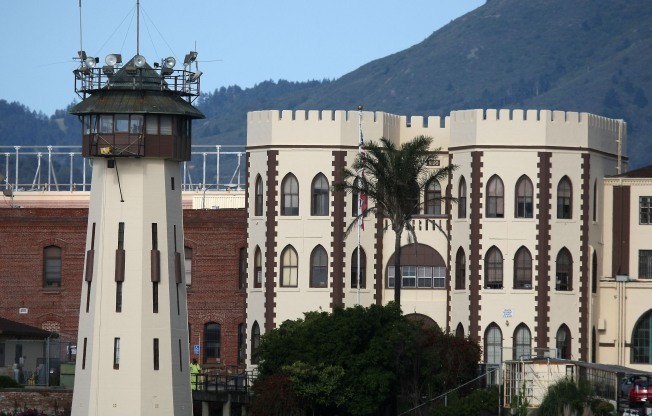 San Quentin, in Marin County north of San Francisco, is the state's oldest prison and houses nearly 5,000 men, including those on death row. The riot came just two days after another riot at California State Prison, Sacramento, left six inmates injured, including two seriously, prison officials said. The fight Friday among about 150 inmates at an outdoor recreation yard was broken up after guards fired a warning shot and used pepper spray. Officials said dozens of other inmates suffered less serious injuries and were treated at the prison.